Day 3 Microsoft Inspire: Satya Nadella gives us food for thought. 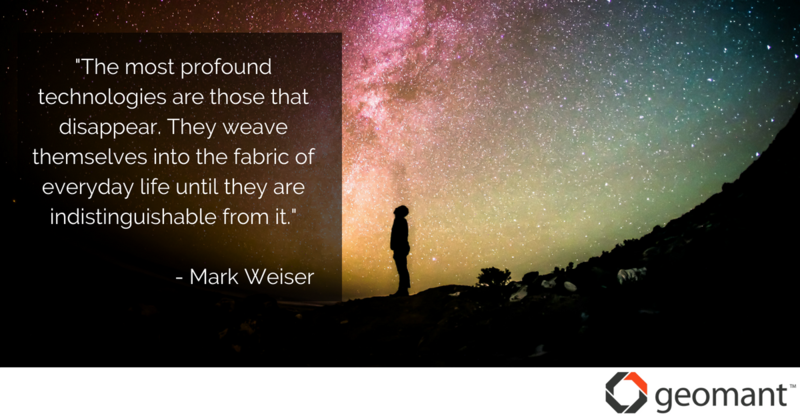 Weiser, a chief scientist at Xerox known for Ubiquitous computing, was a thought leader in his area. His philosophy was based around the idea of technology being ‘quiet’ and helping to create calm. The idea that the best technologies are those that blend into our everyday lives reflects the way that the modern day technological market is moving. Particularly with communication, it's important to be able to seamlessly integrate technology and technological changes into processes, without causing disruption. “We at Geomant believe the way we communicate is changing. The ways in which people communicate as individuals are changing and enterprises must adopt this change and be there, on the same channels where people are talking to each other. Today this might look like a big change, but really soon that will be the norm, so we must not be left behind."